The 4GEE Mobile Broadband plans now include data allowances increased by around 60%, with no rise in monthly fee. The 2GB plan now becomes a 3GB allowance, with the 3GB plan increasing to 5GB, and the 5GB allowance now extending to 8GB. All existing 4GEE customers will be automatically upgraded to the new data allowances, with no increase in their monthly fee, allowing them to get more out of superfast 4G at no extra cost. EE is also launching a range of new 4GEE Mobile Broadband plans to offer customers greater choice. A new one month SIM only plan offers 5GB of data for £15.99, with the first month free for customers signing up before 23rd December. Customers wishing to include a 4GEE Dongle or Mobile Wi-Fi device can choose from 30 day plans, or 18 and 24 month plans, starting at £12.99 per month for 1GB. Chinese vendor ZTE is trialling a commercial VoLTE call service in Hong Kong. A report on Q3 mobile radio access network (RAN) sales attributes Nokia Siemens Networks with increased market share and revenue despite an overall declining market. Figures from market intelligence company ABI Research Wireless show Nokia Siemens Networks increased its RAN market share quarter-on-quarter by 4.2 percentage points to 22.4%. In RAN terms, ABI reported that Nokia Siemens Networks was the only one of the top four vendors to grow its revenue quarter-on-quarter. In the LTE (4G) RAN market, the company’s market share was reported to have quadrupled, year on year, echoing a recent report from Dell’Oro Group. Nokia Siemens Networks has over 70 commercial deals for LTE. ABI also reports that Nokia Siemens Networks is placed second in what it categorizes as equipment vendor "Network Infrastructure Related" revenues (combining both RAN & Core elements) with 18.4% share, behind the market leader. Research firm Dell’Oro Group notes that NSN overtook Alcatel-Lucent in terms of LTE RAN revenues during the quarter. The vendor ended the period with 70 commercial LTE contracts, giving it a 21% share of total revenues – some four times higher than in 3Q11. Japan, NTT DoCoMo from Nov.2012. Plans to sell the femtocells to local homeowners. 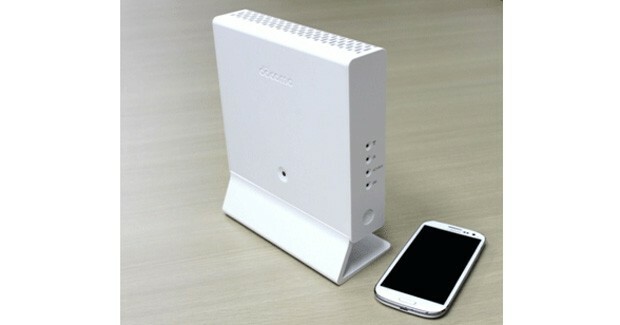 2012.11.16 NTT DoCoMo readies first dual-mode HSPA, LTE femtocell for December. Targeting a small portion of the signal with a laptop and a transmitter costing about $650 could knock offline an LTE base station serving thousands of people, according to researchers who raised concerns last week over the technology's planned use in a national public safety broadband network. "An example strategy would be to target specific control or synchronization signals, in order to increase the geographic range of the jammer and better avoid detection," the Wireless @ Virginia Tech research group said in a filing (PDF) submitted to the National Telecommunications and Information Administration. November 13th, 2012: GSA confirms that 1800 MHz is the most widely used band for 4G/LTE systems deployments worldwide. GSA calculates that LTE1800 (LTE technology deployed in 1800 MHz spectrum) is serving customers today on over 37% of the 113 commercial LTE networks which had entered service by November 2, 2012 (see Evolution to LTE report dated November 2, 2012). A total of 42 operators have commercially launched LTE1800 either as a single band system, or as part of a multi-band deployment. Commercial LTE1800 services are available in 29 countries: Angola, Australia, Azerbaijan, Croatia, Czech Republic, Denmark, Dominican Republic, Estonia, Finland, Germany, Hong Kong, Hungary, Japan, Latvia, Lithuania, Mauritius, Namibia, Philippines, Poland, Portugal, South Africa, Saudi Arabia, Singapore, Slovak Republic, Slovenia, South Korea, Tajikistan, UAE, and UK. In most cases the 1800 MHz spectrum has been refarmed from its original use as a 2G/GSM band, as a result of the technology-neutral licensing environments which have developed as regulators in all regions responded to the need for more spectrum for mobile broadband services. The second most popular band in which LTE systems are deployed is 2.6 GHz, followed by 700 MHz. Manufacturers have ensured a wide choice of LTE user devices which can operate on the 1800 MHz band, including all the leading brands. A survey of the LTE devices ecosystem which was completed by GSA on November 12, 2012 confirmed that 560 LTE user devices had been announced, of which 130 products (almost 1 in 4) support the 1800 MHz band (LTE1800). Several more operators will launch LTE services in 1800 MHz spectrum in the near future. Since LTE1800 is supported in the most popular smartphone brands, some operators have adjusted deployment strategies, including shifting to 1800 MHz, in order to speed the introduction of LTE services in their markets. 1800 MHz frequency is widely available for mobile services. Licences to deploy services at 1800 MHz have been awarded to an estimated 350 plus operators worldwide, in nearly 150 countries. The Moscow Commercial Court has set for December 3 the primary hearings in Rostelecom's lawsuit to force Skartel to grant access to LTE networks, the court told the Russian Legal Information Agency (RAPSI/rapsinews.com) on Tuesday. Skartel is part of the Yota brand. Rostelecom has asked the court to force Skartel to sign a contract on providing access to the technological infrastructure of its communication networks for providing LTE services under MVNO terms. Eurocomission has called on all EU member states to make 120 MHz worth of spectrum band1 available for 4G, such as LTE. The paired terrestrial 2 GHz band (1920-1980 MHz paired with 2110-2170 MHz) has been traditionally used for 3G UMTS networks, but the EC now wants it to be liberalised for 4G services across the region. The decision means it will be mandatory for EU member states to open the spectrum for 4G services by June 30, 2014. The EC said that it aims to provide harmonised technical conditions to avoid market fragmentation in the future use of the band. USA, Mosaic Telecom, 2011.07 ?? USA, Panhandle (PTCI), 2012.03 ?? 360 operators are investing in LTE, a figure which is 45% more than a year ago, according to the GSA (Global mobile Suppliers Association) in an update to its Evolution to LTE report released on November 2, 2012. The report confirms that 113 operators have launched commercial LTE networks in 51 countries. A further 195 commercial network deployments are in progress. GSA forecasts that 209 networks will be commercially launched in 75 countries by the end of 2013. A total of 308 operators are firmly committed to deploy commercial LTE networks in 94 countries, including those who have launched services. A further 52 operators in 11 more countries are at a pre-commitment stage, engaged in LTE technology trials, tests or studies, etc. Many of them are expected to also decide to introduce LTE services. 77 operators have launched commercial LTE services in the past 12 months. LTE is the fastest developing mobile system technology ever and entering a new phase as a mainstream technology by end of 2012. The benefits from deploying LTE networks in re-farmed spectrum are increasingly recognized by regulators and the industry, emphasizing the flexibility and growing importance of 1800 MHz as a prime band for mobile broadband services delivery. LTE1800 (LTE technology deployed in 1800 MHz spectrum) is launched on 36% of all commercial LTE networks. Forty-one operators have commercially launched LTE1800 either as a single band system, or as part of a multi-band deployment, and commercial LTE1800 services are now available in 29 countries. Eleven operators have launched commercial service using the LTE TDD mode in unpaired spectrum. The LTE standard was specified by 3GPP with an FDD mode for use in paired spectrum, and a TDD mode being the optimal solution for use in unpaired spectrum. FDD and TDD modes are fully complementary. TDD shares most of the FDD design and standards and uses a common core network, and industry commitment is strong. Some operators have commercially launched LTE service using both FDD and TDD. According to its related research, GSA also confirms that 521 LTE user devices (including operator and frequency variants) have been announced by 79 manufacturers (November 2, 2012), representing 164% increase compared to the number of products reported by GSA one year ago (197 devices at that time). US, U.S. Cellular, 2012.11 from Nov.8, 2012, $99 aftr $100 mail-in rebate.